BCS Installations Inc. in Jackson, NJ offer security for your entire property. 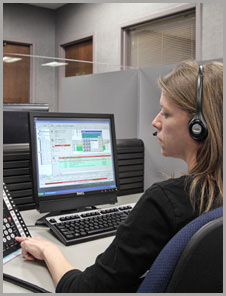 Security Central uses the most advanced communications technology available to monitor alarm systems around the clock. Our central station is highly fault-tolerant and engineered to rigorous standards that meet or exceed all industry requirements. We use two independent generators to back up all monitoring equipment in our reinforced, fire-resistant communication center. Even in the event of a total power failure, we continue to provide prompt responses to your customers' alarms. Security Central meets the stringent physical and operational standards required for Underwriters Laboratories (UL) and Factory Mutual (FM) approval. Fully path-redundant sonet ring with separate entry points. Geographically diverse call routing, via multiple POP’s. Multi-homed BGP routing internet infrastructure for IP signalling reliability. Path redundancy from multiple telecom carriers. T-1 circuits from multiple vendors, traversing multiple carriers for full redundancy via optical fiber and copper circuits. 24x7 call recording by Call-Copy, allowing immediate review of recorded conversations. Advanced statistical analysis from Taske, to ensure operator staffing meets predicted requirements. Automatic call distribution to available alarm receivers. Automatic call distribution to available operators. Dual power supplies in all PBX equipment. Fully redundant Avaya Aura PBX. Industry leading Manitou alarm processing software from Bold Technologies. Multi-path optical network for increased automation system uptime. Multi-redundant fault tolerant HP and Dell server infrastructure for increased systems reliability. Triple redundant database servers for Manitou software, mirrored in real time. World class redundant routers, firewalls, and switches from Cisco, Sonicwall, and HP Procurve. All data backed up internally to multiple storage devices, and in real time to a secure offsite location.